If you’re searching for a no-hassle dinner, look no further! 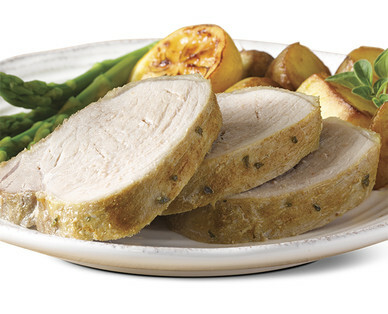 The Marinated Pork Loin Filet is pre-marinated for outstanding tenderness and flavor. Available in Lemon Garlic and Mesquite Barbecue, this is sure to be a family favorite.